A delegation led by Professor Ramon Wyss, former Vice President of the Royal Institute of Technology (Swedish: Kungliga Tekniska högskolan, KTH) of Sweden held discussion with Addis Ababa University high level officials on February 13, 2017 at the office of the AAU President. 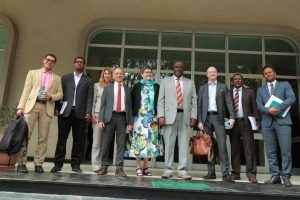 The discussion dealt with mutual innovativeness capacity building between the two universities. The two counterparts held their discussion on ways to adjust and integrate curriculum to community engagement and industry. The intention was to make the universities center of innovation and intellectual talent in today’s drastically increasing market and technology competition. Welcoming the delegates at his office, President of the AAU, Professor Admasu Tsegaye stated that in line with the country’s vision to change the current agriculture led economy to industry, special attention has been given to science and technology. He went on to say that the admission to higher educational institutions of 40% of students in the field of engineering signifies the emphasis on science and technology. The president also noted that the university is progressively binding itself with industry, technology transfer and community services. The two partners also discussed the need to assess and improve teaching methodology in order to stay competitive in the current market. 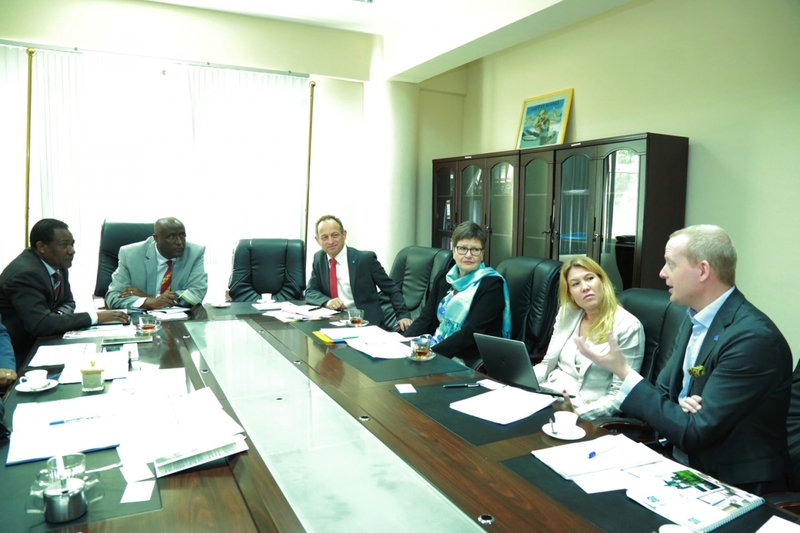 Jeilu Oumer (Ph.D.), Academic Vice President of the AAU, noted during the discussion that it is imperative that the AAU adjusts its teaching methodology and curriculum to fit with international requirements in order to foster innovativeness with the current market need. Professor Ramon Wyss, for his part, stated that approaching curriculum to outreach service, industry and enhance practical action rather than pure scientific research is of great importance in the current market. Professor Ramon Wyss also spoke of working on capacity building through staff exchange. KTH Royal Institute of Technology was established in Stockholm in 1827 as the Teknologiska Institute, which offered to meet the industrial age’s increasing demand for trained engineers by focusing on applied technology rather than pure scientific research.